Marking their triumphant return from an eight year hiatus, underground hip-hop legends, Dilated Peoples are back. 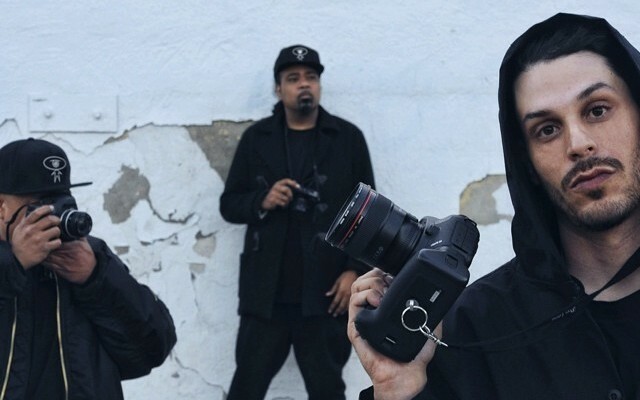 The LA-based crew, consisting of Evidence, DJ Babu and Rakaa Iriscience are releasing a new LP, Directors of Photography, on August 12, and will be promoting the album on a North American Tour. The tour will span nineteen major venues across the U.S., kicking off in Seattle, and ending in Boston. Click on to check out all the tour dates. Directors of Photography will be Dilated’s fifth album, but their first album since 2006’s 20/20, and judging from the latest music video for “Good as Gone,” the crew’s chemistry is still perfectly intact. Dilated will also be sharing the stage with the similarly reunited Jurassic 5, the Beat Junkies and MC Supernatural. Hit the jump for Word of Mouth tour dates, and go watch Dilated get live on stage.